You don’t ever really let go, though. You don’t stop. You don’t stop hurting, you don’t stop loving. 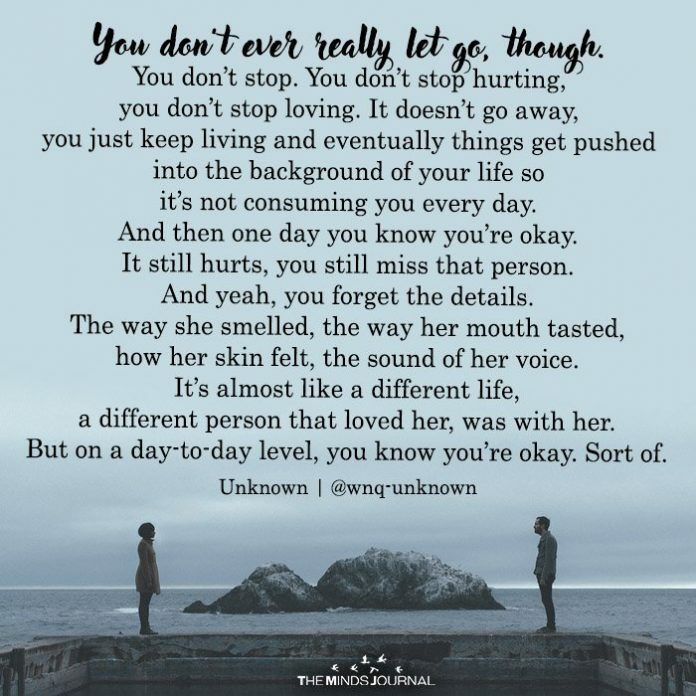 It doesn’t go away, you just keep living and eventually things get pushed into the background of your life so it’s not consuming you every day. 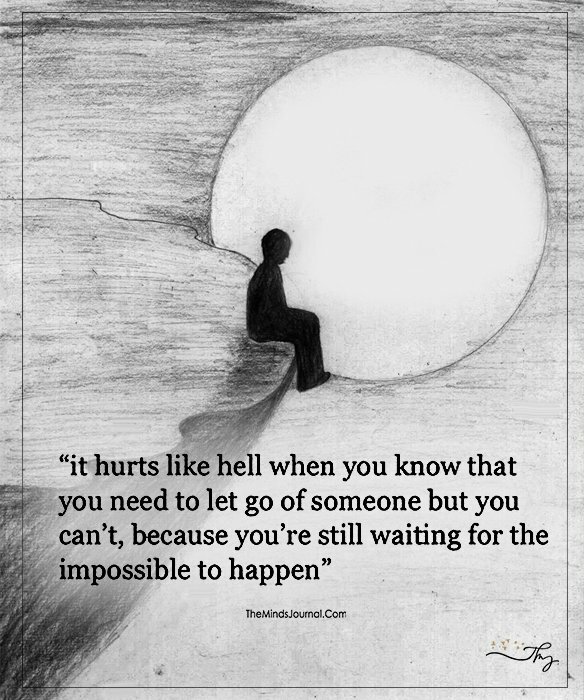 It still hurts, you still miss that person. And then one day you know you’re okay. Sometimes you let go of people without even noticing. You stop thinking of them every day. You stop waiting for them to reply to you. You stop allowing them to take up so much space in your life. You move on, you go about your day without worrying about them. You stop expecting them to come back with an apology. You accept that they are no longer a part of your life. 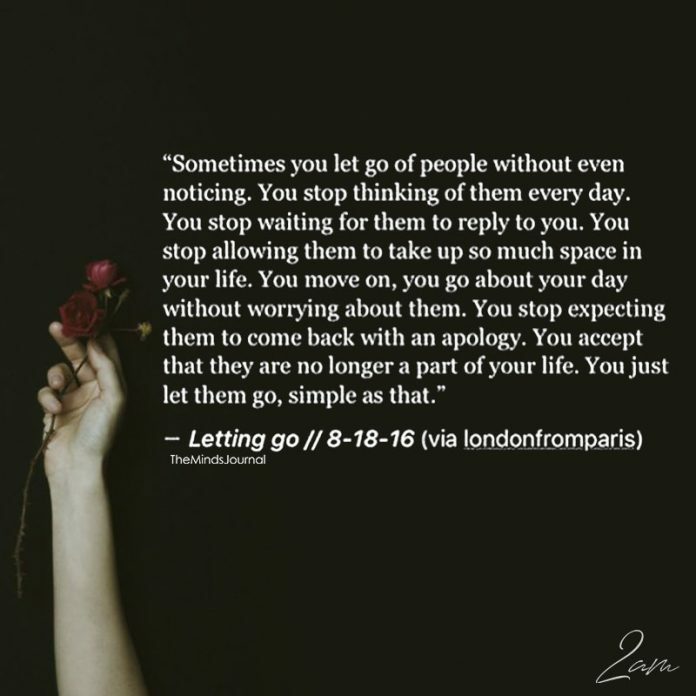 You just let them go, simple as that. 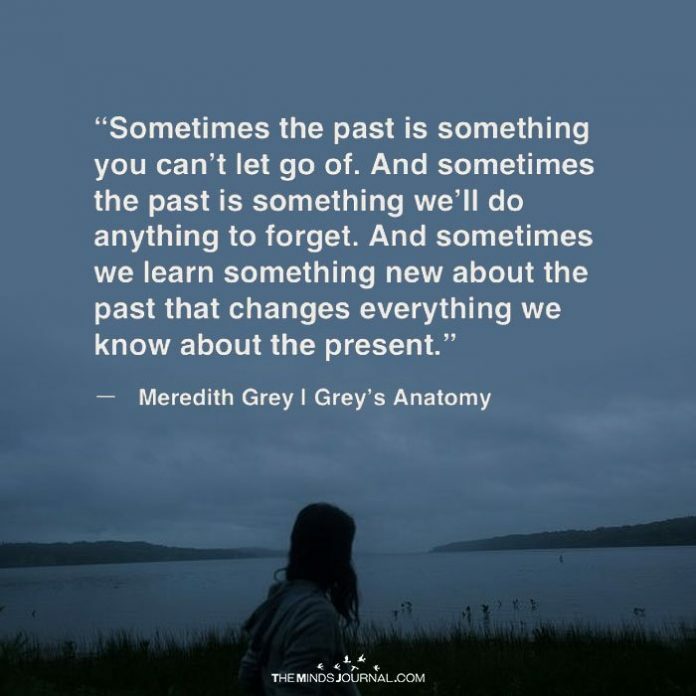 SOMETIMES THE PAST IS SOMETHING YOU CAN’T LET GO OF. AND SOMETIMES THE PAST IS SOMETHING WE’LL DO ANYTHING TO FORGET. AND SOMETIMES WE LEARN SOMETHING NEW ABOUT THE PAST THAT CHANGES EVERYTHING WE KNOW ABOUT THE PRESENT. When you decide to let go, you’re not losing hope,you’re only hoping for more,hoping for better,hoping for something worth holding on to. 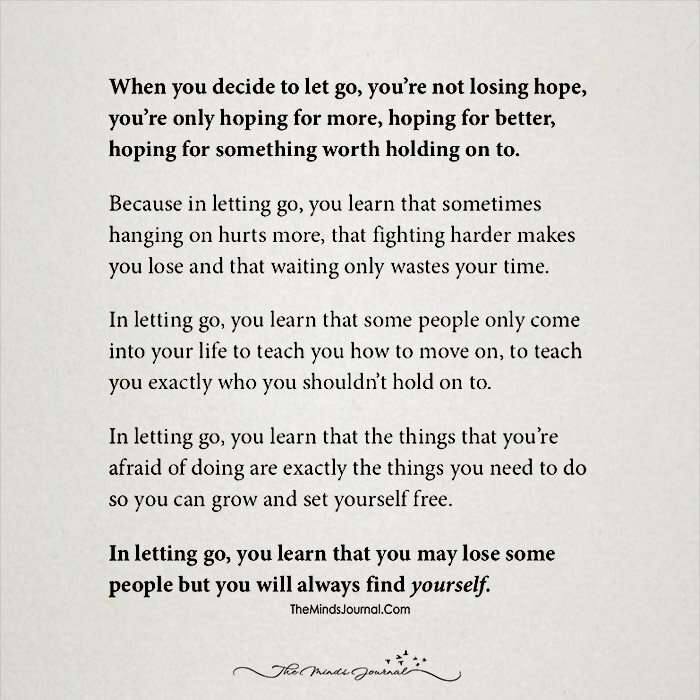 Because in letting go, you learn that sometimes hanging on hurts more, that fighting harder makes you lose and that waiting only wastes your times. In letting go, you learn that some people only come into your life to teach you how to move on,to teach you exactly who you shouldn’t hold on to. 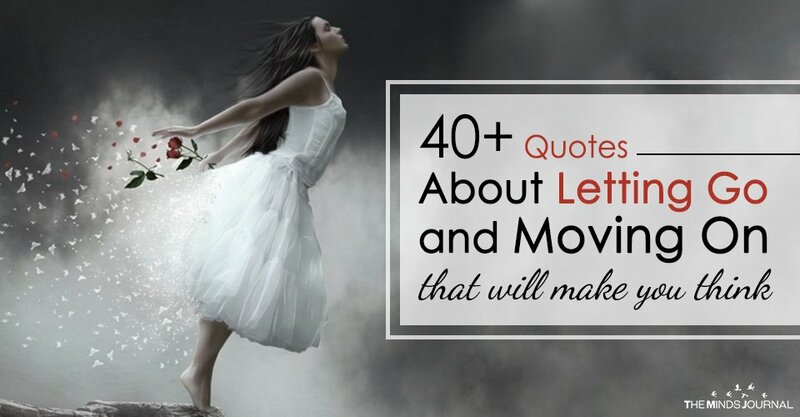 In letting go,you learn that the things that you’re afraid of doing are exactly the things you need to do so you can grow and set yourself free. In letting go, you learn that you may lose some people but you will always find yourself. 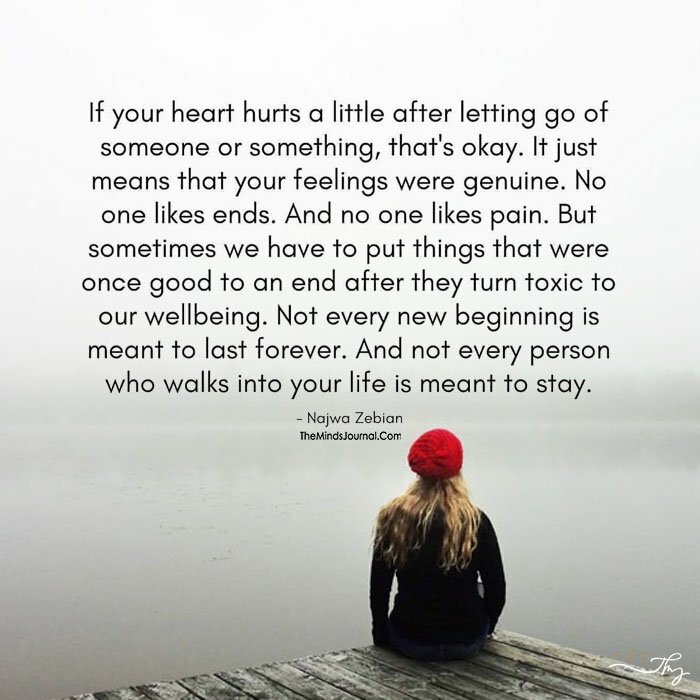 If your heart hurts a little after letting go of someone or something, that’s okay. 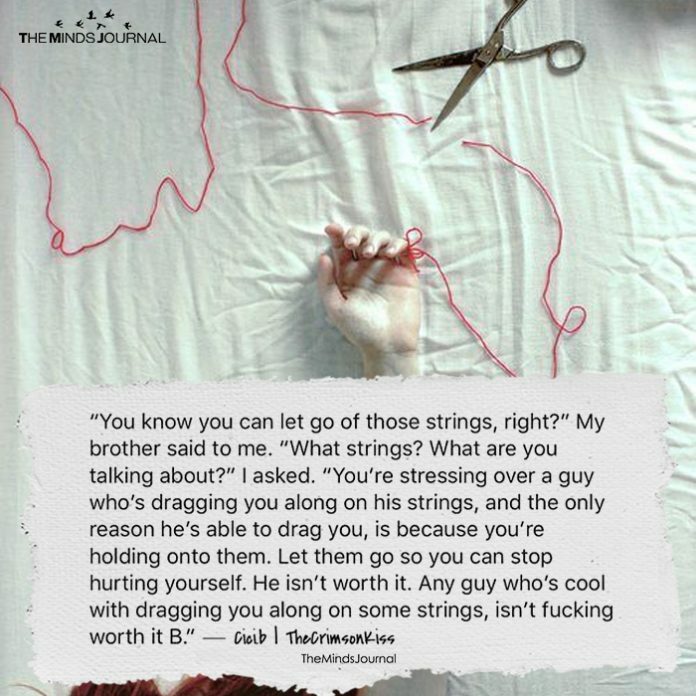 It just means that your feelings were genuine. No one likes endings. But sometimes we have to put things that were once good to an end after they turn toxic to our wellbeing. Not every new beginning is meant to last forever. And not every person who walks into your life is meant to stay. 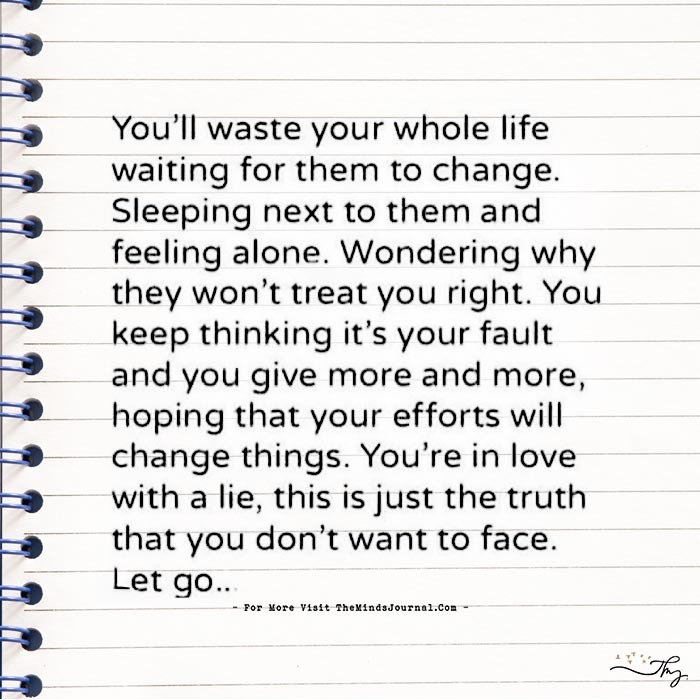 You’ll waste your whole life waiting for them to change. Sleeping next to them and feeling alone. Wondering why they won’t treat you right. You keep thinking it’s your fault and you give more and more, hoping that your efforts will change things. You’re in love with a lie, this is just the truth that you don’t want to face. Let go!